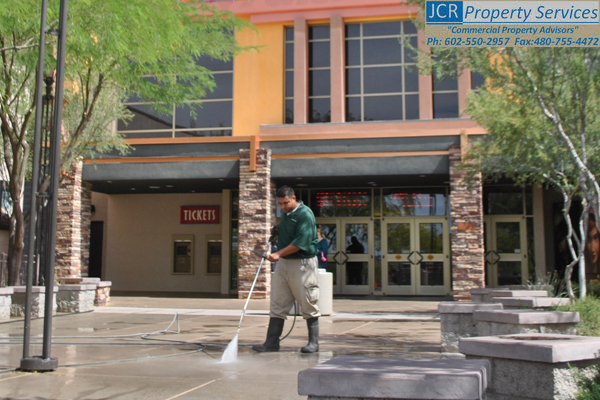 JCR Property Services' commercial grade mobile pressure wash system generates 250°F hot water at 3,500 psi. 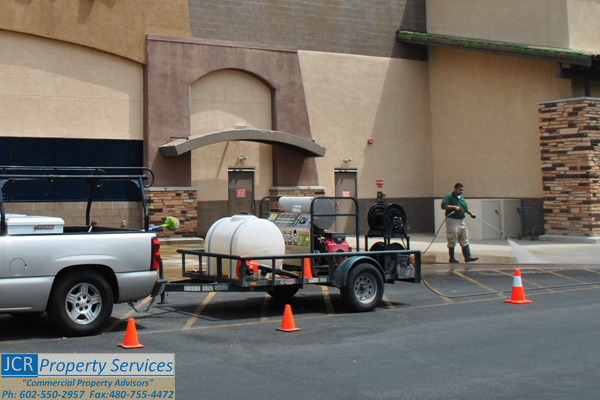 Our trained pressure wash technicians can remove all kinds of stains, dirt and debris from many surface types including concrete, asphalt, brick, stone, walls, building exteriors and more! Mobile, Hot Water @ 250 degrees, 3500 psi. Our commercial experience transitions many diverse product types such as office, industrial, retail and specialty projects. 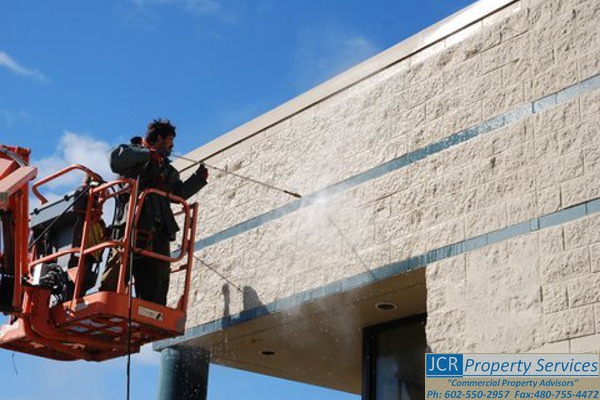 JCR Property Services can navigate you through your improvement or renovation project, no matter where you are in the process. 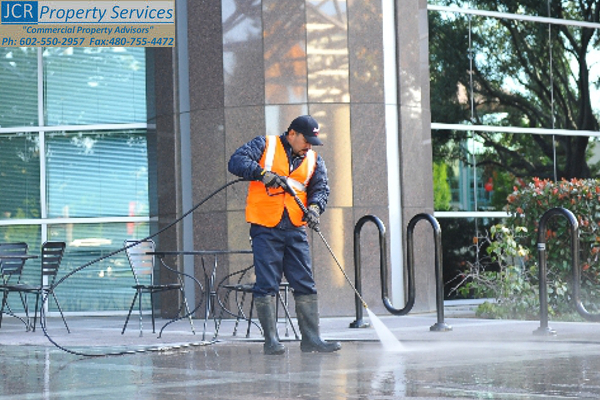 We have the personnel and expertise that will ensure a successful outcome!